We are bringing you some of the most fascinating greenland shark facts for kids. Greenland shark (Somniosus microcephalus) is one of the world’s largest living sharks and also the longest-living animal in the world. It belongs to the family of ‘sleeper sharks’. With a speed of 0.76 mph, it is also the slowest-swimming fish in the world. It has a spherical-shaped short snout with small eyes. Despite its huge size, Greenland shark has very small gill slits. It has light-gray to blackish-brown appearance. 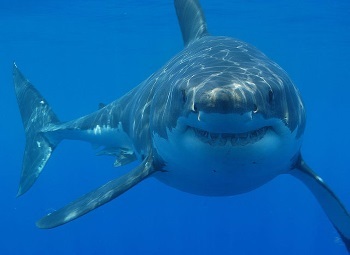 There are around 48 to 50 teeth on each side of its jaws. In size, Greenland shark is very close to the Great White. It can grow up to a size range of 21 to 24 feet in length and weighs around 2,200 to 3,000 pounds. However, on average, it is about 15 feet in length and 880 pounds in weight. At birth, the size of each pup is 38 to 42 centimeters in length. Greenland Shark Lifespan: Greenlan d shark has the longest lifespan and can live up to 512 years at most. 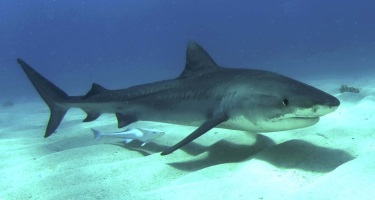 However, the minimum lifespan of this shark is 272 years. It reaches maturity at the age of 150 years. A litter size of Greenland shark is 10 pups on average. Where Do Greenland Sharks Live? 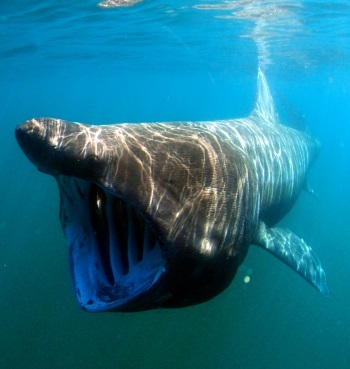 Greenland sharks inhabit ice-cold waters of the Arctic as well as the North Atlantic Ocean. What Do Greenland Sharks Eat? Greenland sharks feed on Atlantic herrings, Arctic charr, caplin, lumpsuckers, Norway Haddock, sculpins, flounders, cod, wolfish, eels and skates. Apart from these, they are also found to feed on reindeer, polar bear and seals. The meat of this shark is poisonous. However, if boiled and cooked properly, it is served as a delicacy just like in Iceland. Spread the Word: Would you? The KidsAnimalsFacts.com is designed specifically for kids so that they get to know some of the most interesting & amazing facts about animals. The site includes the animal's diet, habitat, reproductive behavior, geographic location and the conservation status.